A call center can be a very efficient way for your business to handle customer service or increase sales. To determine if outsourcing is a good move for your company, here are some critical features you must understand. 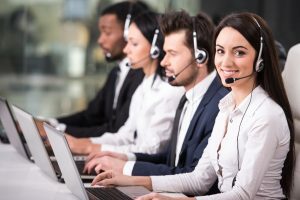 There are two basic types of call centers: Inbound, which take calls coming in, handling customer service questions, troubleshooting, inquiries, orders and complaints. The other is outbound, where employees make calls for telemarketing-selling products over the phone or surveying to collect information. Companies that choose to contract a call center need to make sure its employees have access to the same information as the employees at their central office. This is especially crucial for marketing and promotion purposes. If your company is offering a special promotional price or offer, you need to coordinate that across the whole company to stay consistent. If your call center is in another country, you need to be sensitive to cultural differences, both in how you work with oversea employees, and how you train them to deal with customers. In some industries, customers are leery of working with people thousands of miles away. You must be sure that employees are aware of your biggest clients or clients that require special care and attention. It’s often appropriate for them to be transferred immediately to a supervisor. A call center is a fantastic way for many businesses to save time and money. Keep these factors in mind when trying to decide if it will work for you.